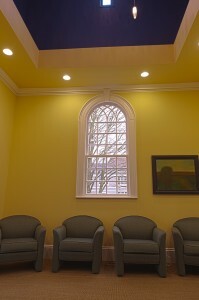 Our office is a renovated historic church in downtown Salem, Oregon. Our attorneys place a high value on the pursuit of legal excellence, personal integrity, and community service. Founded as DeArmond & Young, LLP, our firm’s roots in Salem, Oregon go back to 1949, but we have grown to serve clients across the country. Kenneth Sherman, Sr. joined the firm in 1953 and served prominently in the Salem business and legal communities throughout his tenure at the firm. Kenneth Sherman, Sr. retired from the practice of law in 2002. Kenneth Sherman, Jr. joined the firm in 1974. Ken’s embodiment of the firm’s values of integrity and excellence, as well as his extensive community service have helped to make the Sherman name well-known in the Salem business community. Gina Anne Johnnie joined the Shermans in 1996. Through her unwavering dedication to client service, she has attracted loyal clients who appreciate her responsiveness and follow-through. Mark C. Hoyt, a seasoned Salem litigator with a no-nonsense approach, joined the firm in 2004. Since that year, we have been known as Sherman Sherman Johnnie & Hoyt, LLP. In 2007, we acquired our current building. 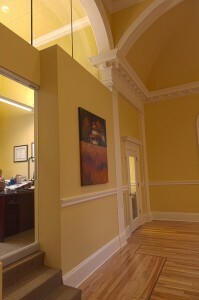 After extensive renovations, we moved into it in early 2008. Our business has been built on our ability to provide our clients with responsive, efficient service and cost-effective, practical solutions. We work with clients who seek assistance maximizing opportunities, planning and mitigating risks, and solving difficult personal and business issues. If you seek advice from us, expect that our first order of business will be to listen. After we understand your situation, your needs, and your objectives, we will evaluate and outline options and recommend potential solutions designed to accomplish your goals in a straightforward manner. Thank you for visiting our website. We look forward to earning the opportunity to work for you.